Laurel Oak makes it as easy as possible for you to become a racehorse owner because we provide you with tremendous flexibility in the size and style of ownership that you can choose. Lease opportunities. Opportunities to lease all or part of horses frequently present themselves. Lease shares may be a small as 2.5% or 1% depending on the circumstances. All-girl racing syndicates designed to generate fund-raising for breast cancer research. Stallion Syndicates. Occasionally we form syndicates of clients to buy shares in commercial stallions. Laurel Oak Syndicates currently own shares in Star Witness and Snippetson. Whether you are after a bit of racing fun for a small outlay, or a more serious involvement, we can help you find suitable horses. The above are just examples of the types of ownership that are available to you. There is tremendous flexibility in the size of share that you can take. In the above examples you could in most instances have a large an interest as you like eg 50% of the horse or larger, or as small as a 1% share. You can decide what suits you, and we will try and find a suitable horse for you. If we do not think we can find the right horse for you we will let you know. To find the right horse for you may take 5 minutes, 5 weeks or 5 months depending on the circumstances. We will only source horses that we believe will be successful, which are, either already managed by Laurel Oak, or which we would be happy to manage in the future and put our name to. We are keen to maintain Laurel Oak’s outstanding strike-rate of getting horses selected to the races, and of successful horses, and we particularly want you to be a happy and successful long-term client. We welcome new clients. To find out more about how we can help you, please call Louis Mihalyka at Laurel Oak Bloodstock on 02 8883 1066. EXAMPLES OF HOW LAUREL OAK SYNDICATES HAVE BEEN CREATED. The best way to highlight to you the great flexibility that we can provide you with in becoming a racehorse owner is to give you an example of how the ownership structure of some of our better known and recent horses was created. Trainer Keith Dryden approached us before the yearling sales season commenced and indicated that he was looking to buy a better quality horse at the upcoming sales and would Laurel Oak like to be involved. The answer was ‘yes’ and a syndicate was formed of Keith Dryden clients and Laurel Oak clients to buy a better quality horse. We at Laurel Oak did the preliminary catalogue work, arrived at the sale several days earlier and did the leg work to come up with a short list for Keith to inspect when he arrived and Into The Night was on that list. Keith reduced that list to an even shorter list of six, which was then Brain analysed and the standout mating was Into The Night. Keith “stretched the friendship” by bidding $20,000 above the agreed limit but we understood because after many days work he was the only horse that received the tick in all boxes after inspection and pedigree analysis. In the end there were around fourteen owners in Into The Night with Laurel Oak clients owning from 20% down to as small as 1.25%. While normally 2.5% is as low as we normally go with the ownership options in this case the cost of the horse suited two clients to go half of that amount. The small size of the share did not stop them from travelling around Australia to see the horse race in Group races and, indeed, go on to race in Hong Kong in the International Sprint. Ancient Song was initially bred and raced by a Brain Pedigree Analysis client and we followed her career with great interest. Then, in 2003, our client pedigree analysed Ancient Song with a view to retiring her to stud. Subsequent to that he rang to say that he might consider selling her. Like most other bloodstock agents in Australia we have clients on the lookout for high quality race fillies that will become future commercial broodmares. A syndicate of Laurel Oak owners was formed to buy her and she went on to become a Group 1 winning mare that is now at stud. She earned over $400,000 in one season of racing. While the syndicate was built around a majority shareholding owned by Ramsey Pastoral Company as well as other clients who have commercial breeding interests who had 10% or 20% shares in the mare, it also suited to balance up the ownership to have some 2.5% owners who went along for a very enjoyable ride. John O’Shea indicated that he had clients looking to buy yearling colt/colts with stallion potential. We had a group of clients with similar ambitions who were willing to invest in the project and after working the Magic Millions Sale we settled on a Hussonet colt with John as being our prime purchase target. John bought the horse for $470,000 and we took a 20% share for Laurel Oak clients. After winning his first two starts he was narrowly beaten by Northern Meteor at his 3rd career start in the Group One Coolmore Stakes. Fist Of Fury was pre-post favourite for the Group One Oakleigh Plate and Newmarket Handicaps the following Autumn at what were to be his 4th and 5th career starts. While performing creditably he did not win and then illness and injury took their toll on the horse and he did not live up to his potential. But we did go within a long head in the Group One Coolmore Stakes of fulfilling the purpose of turning a yearling colt into a commercial stallion. We were looking for yearlings around the $80,000 range with Keith Dryden at the 2011 Magic Millions Yearling Sale. We found a Holy Roman Emperor colt we were very impressed by and agreed to go to $120k to buy him for Keith. We did not get a bid in as Peter Moody bought him for $155,000. A phone call to Peter established that the horse was available so we emailed clients who were looking for a horse and within 24 hours we were able to confirm to Peter that we would take the whole horse with share sizes ranging from 20% down to 1%. Hopefully he will turn out to be a star but this was an example of reacting to a situation at the sales regarding a horse that we liked and providing our clients an opportunity to race it. This filly was purchased at the 2006 Magic Millions for a group of clients looking for a filly to race and then breed from. Several of her breeder owners leased their equity out for her racing career. Be Positive went on to be a Group 3 winner at Flemington. 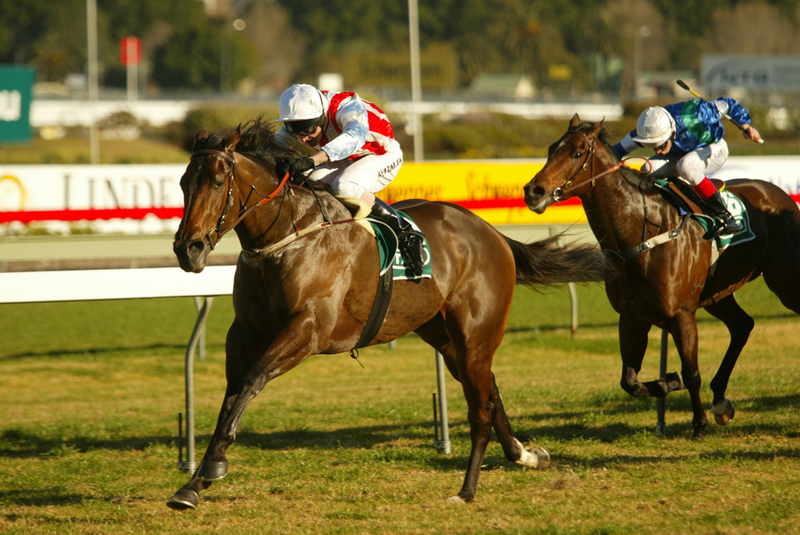 She was also Group 3-placed and won three other races in a successful career. The result was a group of happy breeders with a stakes-winning broodmare going to stud and group of happy lessees with some great memories from her successful racing career. Tony Noonan bought a Grand Lodge filly on spec at the Perth Yearling Sales. When he offered her to Laurel Oak we recognised the Grand Lodge/Marscay cross as that which produced Lovelorn, the VRC Oaks winner so we purchased her for clients after Brain Pedigree Analysis confirmed the quality of the mating. What followed was a tremendous racing career with Soul Diva winning 11 races including two at Flemington amongst seven metro wins capped off by a Group 2 placing. She is now a valuable filly at stud. We bought the broodmare Tolinda for a client and subsequently put our money behind the recommendation. Spanish Halo and Eye Of The Needle were her first two foals and we liked both at their respective yearling sales. The reserves were higher than we were prepared to pay and the market supported that view as both were passed in. In both cases we subsequently negotiated their purchase for clients of Laurel Oak and Keith Dryden. The result is two very enjoyable racehorses with four wins apiece so far. The Syndicates that race these two horses are what we would call ‘orthodox ownership’. The horses were bought after yearling sales for Syndicates of owners with share ranging from 30% of the horse down to 2.5%. Both initially made the inspection list at the sales because they were bred by a Breeder/Brain Pedigree Analysis client to a recommended mating. Quite by coincidence the first 50% of one of our syndicates was filled by ladies, so we decided to make it an all girls’ syndicate with pink and white colours and turn it into a fundraiser for Breast Cancer Research. The horse was disappointing but the concept was a great one so we kept the idea going and bought an early-maturing filly for the all-girl syndicate. The result so-far is a talented filly Pink Power with a Kensington win and five other prizemoney cheques from six city starts. The girls are having a great time, thousands of dollars has been raised for Breast Cancer Research, and the concept will continue. When looking for a broodmare we spotted a pedigree we like in the catalogue. As the filly was still racing we put together a syndicate with Ramsey Pastoral and bought Radiant Star for $62,000. A year later with two more city wins, $80,000 in earnings and a black-type placing she retired to stud. So far she has had two yearlings selling for over $160,000 off service fees under $20,000. Her pedigree page has kept improving as she is a half-sister to Nediym’s Glow and Red Colossus. The above examples highlight the tremendous flexibility that we can offer you as an owner of racehorses or broodmares. Whether you are breeding commercially, breeding as a hobby, racing with ownership interests, racing with lease interests, whether the ownership size is above 50% or as low as a 1%, there are options available for you or can be sourced for you. If you contact us and let Laurel Oak Bloodstock know what style or size of ownership you are looking for then we can source the opportunities for you.